Veteran performer Jay Snyder’s rich timbre sets the mood for this murder mystery from first-time novelist, Stephen Legault. Snyder’s well-paced delivery takes listeners up to the beautiful Cardinal Divide in Alberta, Canada, and follows a failed politician’s attempts to help save this national treasure. 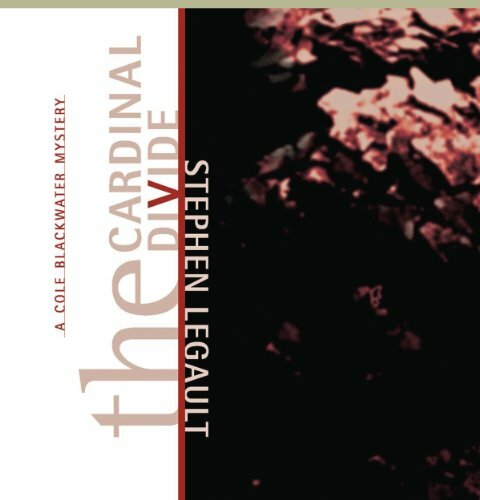 The Cardinal Divide is the gripping and surprising introduction to Cole Blackwater, a political figure who has fallen on hard times, both professionally and at home. Peggy McSorlie, head of the Eastern Slopes Conservation Group, presents Cole with a great opportunity to not only save a beautiful piece of land, but also maybe his career. When a leading opponent turns up murdered, however, Cole realizes he’s signed up for far more than a simple PR stunt. Cole Blackwater's life isn't what it used to be. Once a political superstar within Ottawa's environmental movement, he now runs a nearly defunct conservation strategy consulting firm that distinctly lacks a paying client. His ex-wife loathes him for a scandalous affair that ended their marriage, he feels he's failing his eight-year-old daughter as a father, and he's turning far too often to the bottle to solve his problems. When Peggy McSorlie, head of the Eastern Slopes Conservation Group, seeks his help to stop a mining project planned for Alberta's magnificent Cardinal Divide, Blackwater jumps at the opportunity to earn enough money to pay the rent and buy a few pints at his favorite pub. But when Mike Barnes, head of the mining project, is brutally murdered and a radical member of Eastern Slopes is accused of killing him, Blackwater must first prove the man's innocence in order to save his own business, and the future of the Cardinal Divide. ©2008 Stephen Legault (P)2013 Audible, Inc.